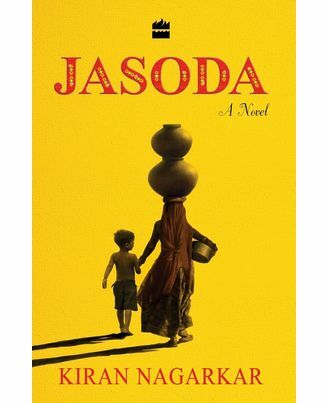 'Jasoda is as compelling and powerful as Nagarkar's other novels but uniquely itself in the gut-wrenching story it tells of the sordid uses of power, the suffering it causes, and the human spirit that rises above it.' - Nayantara Sahgal 'Nagarkar's storytelling genius takes us into the abyss of poverty and patriarchy - source of both inspiration and shame. Jasoda's brutal but transformative journey is the foil to counterfeit historical grandeur. With empathy turned to prose of pure steel, Nagarkar paints a modern Indian heroine.' - Mitali Saran 'A novel that stops your breath and doesn't let go until you get to the end. Jasoda: mother, murderer or saint? You'll want to put her down. But she won't let you.' - Manjula Padmanabhan 'No one can spin a yarn with such rollicking exuberance as Kiran Nagarkar, and no one exposes contemporary India's dark underbelly, in all its casual brutality, like him. Jasoda is a tour-de-force of razor-sharp observation and profound compassion, brilliantly realized.' -Ritu Menon Paar - 'mirage' country, where it is often impossible to draw the line between reality and illusion - has been suffering from a decade-long drought. Jasoda is one of the last to leave this 'arse-end of the world' with her children and mother-in-law. Since her husband claims he has important work to do for the local prince, Jasoda must make the journey to the city by the sea on her own. Meanwhile, after years of anonymity, Paar seems poised to take off. Will Jasoda return home with her children? Or stay in the city that's become home for her children? It's taken for granted that epic journeys and epics were possible only during the time of the Mahabharata, the Odyssey, or the Iliad. Even more to the point, the heroes of the epics had to, perforce, be men. The eponymous Jasoda of the novel is about to prove how wrong the assumptions are. Kiran Nagarkar's trenchant narrative traces the journey of a woman of steely resolve and gumption, making her way through an India that is patriarchal, feudal, seldom in the news, and weighed down by dehumanizing poverty. Kiran Nagarkar is one of India's most highly regarded writers. His critically acclaimed novel Cuckold was given the Sahitya Akademi Award in 2001. While Gore Vidal said '(Cuckold) is a fascinating book, a sort of fantastic marriage between the Thomas Mann of Royal Highness and the Lady Murasaki', Khushwant Singh considered 'Cuckold ... as the best by an Indian'. 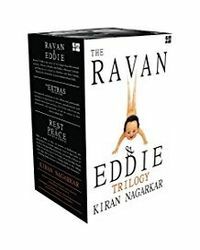 Nagarkar's other novels include God's Little Soldier and the Ravan and Eddie trilogy (Ravan and Eddie, The Extras, Rest in Peace). One of the sharpest critics of India's socio-political scenario, he is also the author of the play Bedtime Story, which had been banned for years, and the screenplay, Black Tulip, published as a single volume in February 2015. Nagarkar received the Order of Merit of the Federal Republic of Germany in 2012. Both the Tata Literature Live! and the Chandigarh Literary Fest gave him a Lifetime Achievement Award in 2015 and 2016 respectively. His novels have been translated into German, French, Italian, Spanish, Portuguese as well as Marathi. Nagarkar also writes in Marathi and has penned plays and, in fact, began his career in the language in 1974 with his first novel Saat Sakkam Trechalis, a landmark in Indian literature, which was translated into English as Seven Sixes Are Forty-Three. It has recently been republished as a Harper Perennial. About the Book : 'Jasoda is as compelling and powerful as Nagarkar's other novels but uniquely itself in the gut-wrenching story it tells of the sordid uses of power, the suffering it causes, and the human spirit that rises above it.' - Nayantara Sahgal 'Nagarkar's storytelling genius takes us into the abyss of poverty and patriarchy - source of both inspiration and shame. Jasoda's brutal but transformative journey is the foil to counterfeit historical grandeur. With empathy turned to prose of pure steel, Nagarkar paints a modern Indian heroine.' 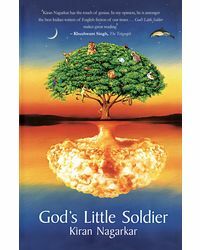 - Mitali Saran 'A novel that stops your breath and doesn't let go until you get to the end. Jasoda: mother, murderer or saint? You'll want to put her down. But she won't let you.' - Manjula Padmanabhan 'No one can spin a yarn with such rollicking exuberance as Kiran Nagarkar, and no one exposes contemporary India's dark underbelly, in all its casual brutality, like him. Jasoda is a tour-de-force of razor-sharp observation and profound compassion, brilliantly realized.' -Ritu Menon Paar - 'mirage' country, where it is often impossible to draw the line between reality and illusion - has been suffering from a decade-long drought. Jasoda is one of the last to leave this 'arse-end of the world' with her children and mother-in-law. Since her husband claims he has important work to do for the local prince, Jasoda must make the journey to the city by the sea on her own. Meanwhile, after years of anonymity, Paar seems poised to take off. Will Jasoda return home with her children? Or stay in the city that's become home for her children? It's taken for granted that epic journeys and epics were possible only during the time of the Mahabharata, the Odyssey, or the Iliad. Even more to the point, the heroes of the epics had to, perforce, be men. The eponymous Jasoda of the novel is about to prove how wrong the assumptions are. Kiran Nagarkar's trenchant narrative traces the journey of a woman of steely resolve and gumption, making her way through an India that is patriarchal, feudal, seldom in the news, and weighed down by dehumanizing poverty. About the Author : Kiran Nagarkar is one of India's most highly regarded writers. His critically acclaimed novel Cuckold was given the Sahitya Akademi Award in 2001. While Gore Vidal said '(Cuckold) is a fascinating book, a sort of fantastic marriage between the Thomas Mann of Royal Highness and the Lady Murasaki', Khushwant Singh considered 'Cuckold ... as the best by an Indian'. 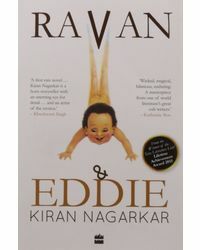 Nagarkar's other novels include God's Little Soldier and the Ravan and Eddie trilogy (Ravan and Eddie, The Extras, Rest in Peace). One of the sharpest critics of India's socio-political scenario, he is also the author of the play Bedtime Story, which had been banned for years, and the screenplay, Black Tulip, published as a single volume in February 2015. Nagarkar received the Order of Merit of the Federal Republic of Germany in 2012. Both the Tata Literature Live! and the Chandigarh Literary Fest gave him a Lifetime Achievement Award in 2015 and 2016 respectively. His novels have been translated into German, French, Italian, Spanish, Portuguese as well as Marathi. Nagarkar also writes in Marathi and has penned plays and, in fact, began his career in the language in 1974 with his first novel Saat Sakkam Trechalis, a landmark in Indian literature, which was translated into English as Seven Sixes Are Forty-Three. It has recently been republished as a Harper Perennial.